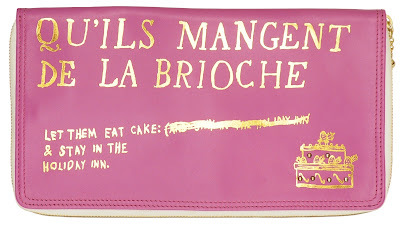 So here’s the thing, readers: I am not the kind of girl who buys £90 purses. But you know how it is, don’t you? One day, you’re just idly reading all of the internet in your lunch hour, then BAM – up pops something so brilliant, you let out a desk-whoop, and Colin from Accounts secretly hopes it’s because he’s just stumbled into your peripheral vision. Then you see the price, and you let out a desk-groan, and Colin from Accounts’ heart breaks into a thousand tiny pieces. And then you frantically perform the patented cost-per-wear equation, and you convince yourself that IN FACT, of course £90 is a totally reasonable price to pay for a purse. I couldn't say no. I’ve had mine (in tan, actually, but that’s no longer available) since last April, and I've carried it every day since then. In the interests of mathematical advancement, I have calculated that this equates to a cost of 18p per wear. I think I’ll soon be making money by carrying it. 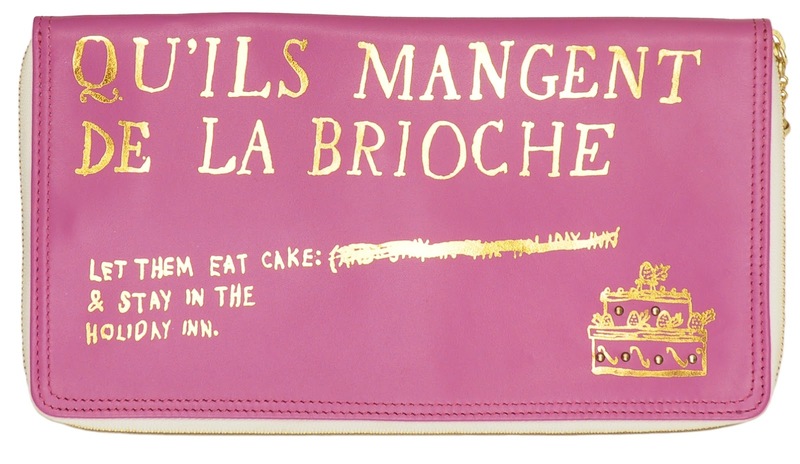 I need a bright pink Marie Antoinette-inspired travel pouch, don’t I? Thought so. The slogan on this overnight bag reads ‘I love you like a fat boy loves cake’. I know. 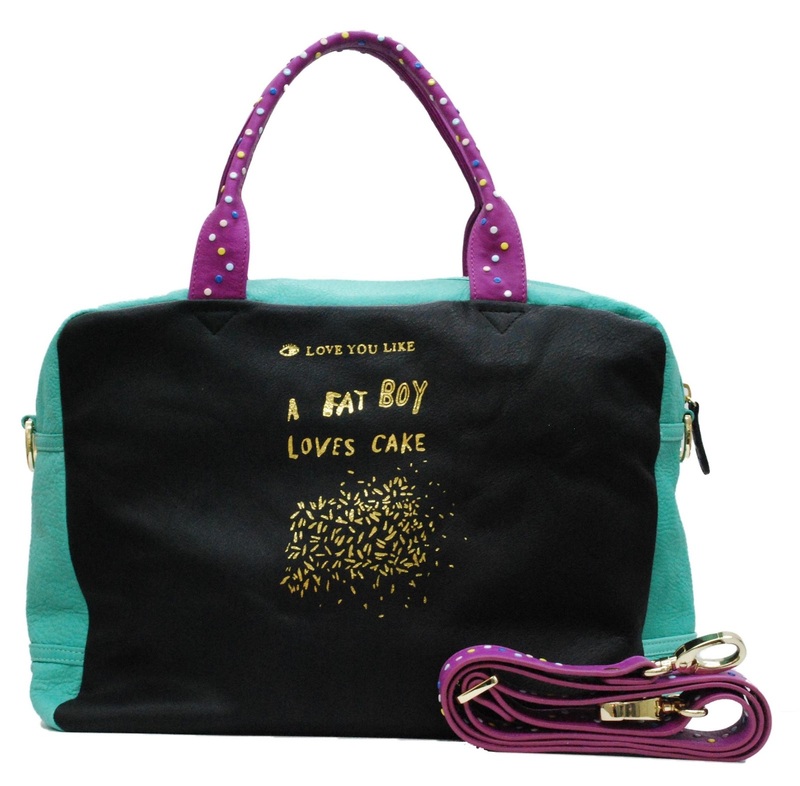 I love it like a fat boy loves cake. I don’t love the price quite so much. I don't know if I'd dare carry this into job interviews and business meetings. I like to think I would. It makes me laugh a lot. This little coin purse is a smiley wee chap. 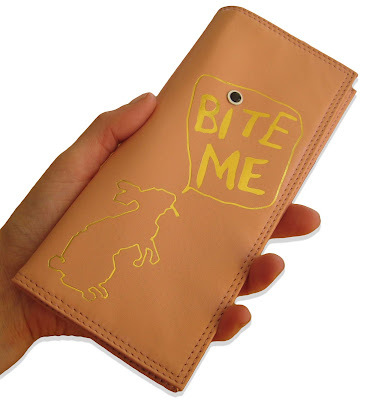 Don't be fooled - the lining is emblazoned with the handy reminder 'Don't be stupid, I'm a disaster'. I could go on and on with my wishlist - Paris House have so many great designs, and most of them are available in a variety of colourways. 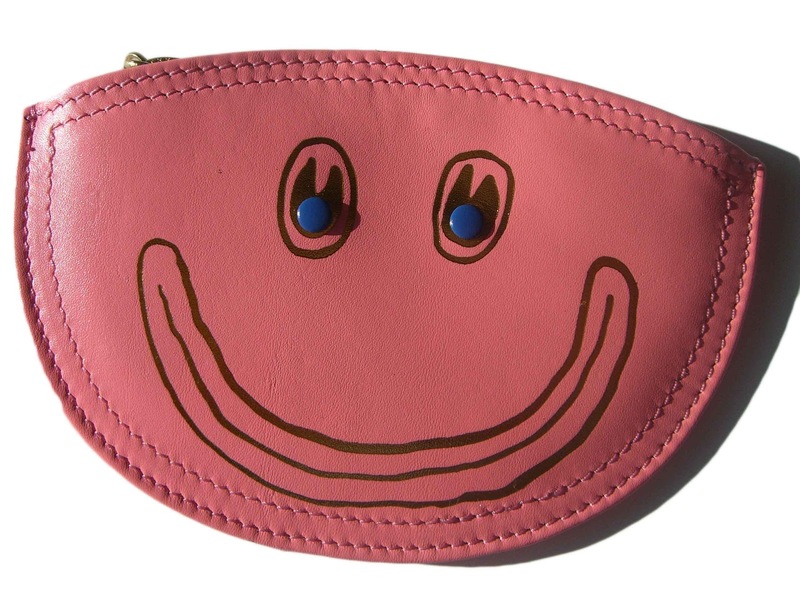 Yes, they're pricey, but they're also really well-made and really funny (and they do a nice line in sale items - this Belief Bill Fold is down from £90 to £20 at the moment). Just remember to do your cost-per-wear sums and you'll be fine. Anyway, did I mention that it's my birthday in October? No? Oh, since you ask, yes it is! Colin from Accounts, take note. thank you so much for the absolutely lovely words about Paris House- you made my day! Oh wow, glad we made your day, Sharon! As you can tell, I'm pretty smitten with Paris House!